For complete shine every time, contact the Sunrise Manor window cleaning experts at Southwest Ultra Clear. 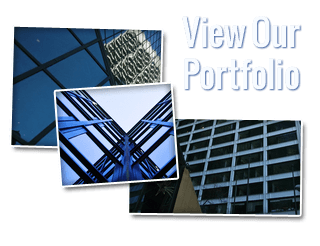 We treat interior and exterior windows for all buildings and structures regardless of the size of your building or how many floors. We specialize in highrise buildings and have an extensive background in high elevation window cleaning. We provide dependable, consistent residential and commercial work and exceptional customer service. We work to gain your trust and satisfaction. We want to be your exclusive cleaning company all year long! When it comes to Sunrise Manor interior and exterior window cleaning you need a company that can get the job done fast and done right the first time. You need a company you can rely on! We keep it simple at Southwest Ultra Clear by making the process easy for you. We simply visit your home or office, evaluate your property’s needs, give you an honest and accurate estimate, and then go to work in order to quickly get the job done. We take the guesswork out of window cleaning. Say goodbye to headaches and see the difference that Southwest Ultra Clear can make. When it comes to multi-level high elevation window cleaning it is absolutely vital to hire a company that places high priority on employee safety. We take great precaution with every cleaning job we perform. We use only state of the art harnessing and cable equipment that is OSHA approved. Our certified Sunrise Manor window cleaners are fully licensed, bonded, insured, and highly trained with over 20 years of experience in high rise window cleaning. We concentrate on dependable window cleaning service so that you can focus on your Sunrise Manor business! We do more than window cleaning. We offer a vast selection of cleaning options for both your home’s interior and exterior needs. Our services include window cleaning inside and out, mirror and chandelier polishing, ceiling fan and window screen treatment, and even more specialized services such as skylight cleaning, solar panel treatment, and bird barrier cleaning. Check out our online site to discover all of our products and services. Let Southwest Ultra Clear be your one stop shop for all cleaning services. You’ll love our affordable rates, flexible schedule, and quick service. 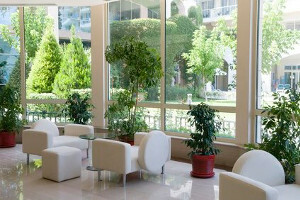 We are Sunrise Manor’s most trusted cleaning company. An added feature to our full line of services includes commercial and residential Sunrise Manor pressure washing services. Hiring a pressure washing pro from Southwest Ultra Clear is a smarter alternative to DIY pressure washing. No more standing in line at the store to rent a pressure washer machine that is difficult to get started and hard to use. By hiring us, you’ll also be saving time that you could use doing something else. Our rates are affordable and we offer a schedule that is flexible. We offer half and full day rates. We pressure wash siding, pathways, sidewalks, driveways, playground equipment, roofs, and so much more. Contact us today when you need your property cleaned. 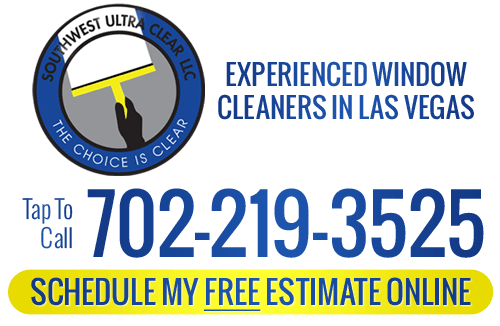 If you are looking for a Sunrise Manor window cleaning service, please call Southwest Ultra Clear at 702-219-3525 or fill out our online request form.